and improve their health holistically and save money on Vet bills. Here is help for our furry friends. here. Thank you for your questions!! I would like to ask if you know for sure if this is mange? Thuya occidentalis Homeopathic to nuetralize the negative effects of the vaccinations. You may crush into powder and place on tongue wait 30 days before another treatment. If no improvement seek out a homeopathic doctor. Also may add the following homeopathics as well. Selenium Homeopathic 30C for excessive hair loss and no new growth. If no improvement seek out a homeopathic doctor. 5 - 20 mg of chelated zinc mentioned below. Flouride in water is important to remove. add to 1 pint of near boiling water and let seep over nite. Add garlic powder and nutritional yeast to diet too. So you are correct in this usage. culprit. Commercial foods are poor nutritionally. Good results will be improving diet firstly. worry. If their weight is good and in general good health. reversed by using colostrum and eggs. shaking of the head and a reddish brown or black waxy buildup in the ears. STEP 1: Confirm with your veterinarian that your pet has ear mites. STEP 2: Use a small dropper with lukewarm mineral oil to lightly coat the inside of the ear. After several hours, the waxy buildup should soften so that you can clean out the ear with a cotton ball. are fine for most cases. Use the product as directed. STEP 4: Be patient and thorough. Treatments can take up to four weeks - enough time to eliminate any eggs that might hatch. STEP 5: Give your pet mild flea baths during the treatment period to squelch any wayward mites. STEP 6: Consult with your vet about more aggressive medication for a particularly stubborn case. STEP 7: Treat all the animals in the household at the same time because the mites will relocate to new hosts. Check your pet's ears for a strong rancid smell. This could indicate an ear infection. Ask your vet for a medication that will treat the infection and eliminate ear mites. If you don't want to use traditional medications, dab mineral oil in your pet's ears (after they have been cleaned) with a cotton swab, twice a week for a month. so that others can benefit. 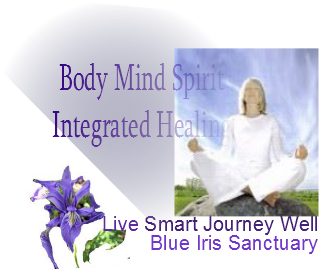 Thank you for contacting Live Smart Journey Well & Blue Iris Sanctuary. We are grateful for your confidence and we look forward to helping you in the future. God Bless and have a wonderful life! !